Chasing up customers or clients for outstanding or overdue payments is a common task for many businesses. History tells us that whenever you offer products or services on credit there is a good chance that your invoices will be paid late. In fact a recent survey by MarketInvoice, a UK finance company showed that globally 72.5% of all invoices were paid late, and sadly for us Australia was at the top of the list as the worst offenders with invoices being paid on average 26.4 days overdue. This is not only frustrating and time consuming but it also cost businesses more in administration and financial costs, strains business relationships and creates an uncertain business environment. The strain that late payment puts on business cashflow is also the number one reason for business failure in Australia. Ok so now we’ve explained the doom and gloom of chasing up overdue accounts I want to offer you a simple, time and cost effective way to improve your collections process using email. Having a sequence of pre-written collection emails is a great way to improve the efficiency and effectiveness of your collection process. Below I will lay out the framework for a sequence of 3 collection emails that every business should have on file. this process to save you even more time. It’s always best to remind your customers or clients that their invoice is about to become due. 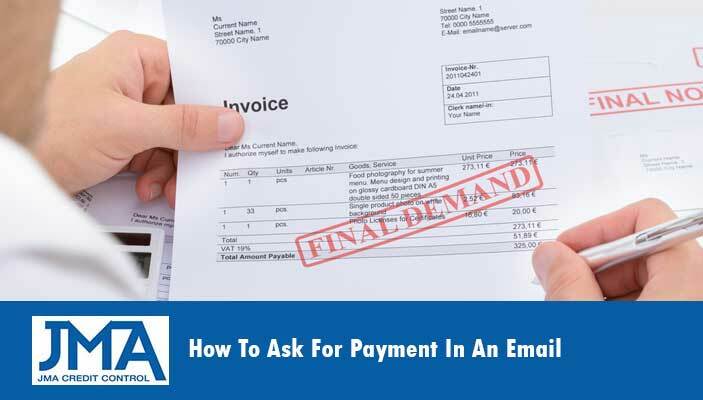 This can be sent 3-5 days before payment is due and is a friendly reminder that explains what the payment is for, how much is owed and provides various payments methods and the related details. If you have an ongoing invoice direct debit arrangement with a customer this also gives them time to make sure there is enough money in their account before the direct debit is due to be deducted. Within 48hrs of a payment becoming overdue you must clearly communicate that you are aware payment has not been made and is expected immediately. This email should be in friendly tone to maintain and build the business relationship. But also needs to be firm enough to make sure they know that late payment is not acceptable. If the new due date passes and there has been no response or payment received after sending the 1st overdue email then it is time to start becoming a little more serious with your language, whilst still be courteous and careful not to cause unneeded tension or disharmony in the business relationship. Simply remind them that payment is now <enter number of days> overdue and that you have not had any response to your initial overdue reminder. Ask for immediate payment or for the customer to contact you if they are having trouble paying so you can arrange a payment plan. Once again state all the details of the transaction as we did in “Overdue Email 1” and explain that if no response or payment is received within 48hrs this account will be escalated to your debt recovery team. Of course you must follow up this warning with action if the deadline passes with no response. That is why it is always a good idea to have a professional debt collection agency on call to take over accounts that well past due. They can save you time and money in recovering outstanding debts and dramatically increase the speed and likelihood that you will be paid in full. Implementing this email sequence into your collection process will save you time an improve your on time payment rates. It will also give you peace of mind so you don’t have to think how to approach an overdue clients every time they fail to pay on time.